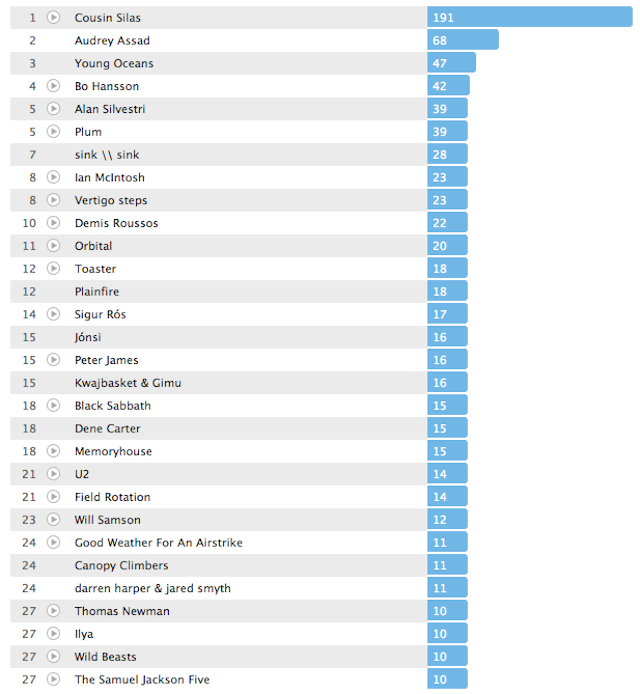 According to last.fm ... this is what I listened to in April 2012. It excludes tunes in the car and on my hi-fi ... but it shows what has been rocking my world ... including Demis Roussos!! !